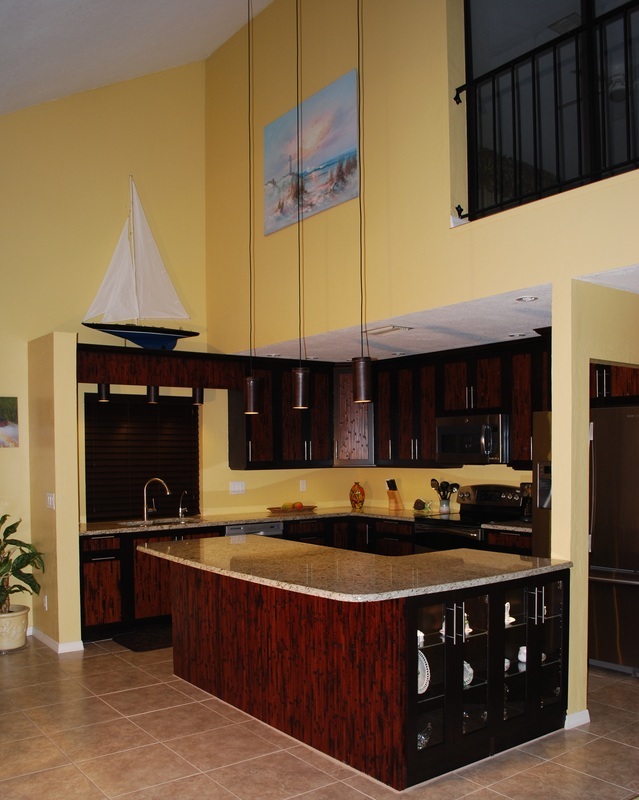 Tropical Kitchens Specializing in custom kitchens & baths, delivered on time & on budget. The kitchen is viewed by many as the center piece of the home and it often serves as a combination family room or workplace. So why not make it a show piece? Imagine your new kitchen as a unique work of art. Not only does kitchen remodeling increase the value of your home, compared with other home remodeling projects the kitchen ranks in the upper tier of recouped costs. According to Remodeling Magazine, national data suggests that homeowners can recoup anywhere from 68% to 75% of their kitchen remodeling costs. With a 2013 national average for a major kitchen remodeling project at $53,931, homeowners can expect to recoup on average $37,139, which is an increase from 2012. An outdated or small kitchen can also make or break a home sale. In addition to increasing the resale value of your home, a remodeled kitchen also masks other areas of the home that may be outdated. So while the master bedroom could be larger or the back yard is a little small, a luxurious, magazine photo shoot ready custom kitchen designed by Frank Schooley with Tropical Kitchens, could easily help you sell your home just a little quicker. Whether you're looking for a more open kitchen, a built-in butcher block island, hand-crafted bamboo cabinets, granite counter tops, dual convection ovens or under cabinet lighting, we'll work with you to create your dream kitchen; on time and on budget.